One of the daily tasks that small businesses of all kinds must do is writing. This writing may include content writing for your website or blog, writing for promotional materials such as brochures, drafting of legal documents and business plans and many other types of writing that go into the launch and maintenance of a business. Because we do so much writing for our small businesses, learning to be greener with our writing is a key way to become a greener business overall. Add a green note to the bottom of all of your writing. The easiest thing that you can do is to put a note at the bottom of all written communication (whether email or printed) stating your goal to be a green business. This helps to remind people that you care about being green and they should as well. Write promotional articles about green issues related to your small business. The fact that you are an eco-friendly business is marketable. One way to promote your business is to write about the green issues facing your industry. Submit this writing to blogs and magazines. You gain attention for your business, reduce the amount of other promotional printing that you may need to do and spread the word about green issues at the same time. 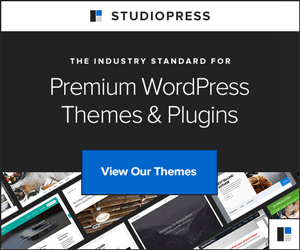 Feature green articles on your site. Create a specific area of your site where you write about green issues. This may be a category on your blog or a section for articles on your main site. Write regularly to keep informing others about eco-friendly issues that matter to you. Promote these articles through eco-friendly groups on sites like Facebook and Mixx. Recycle your paper and buy recycled paper. The first thing that all businesses should do is to recycle all of the paper that is used in the office. Ideally, you will re-use some of this paper. It can be used as scratch paper or turned into homemade paper which can then be used for special cards and gifts. Shredded paper can be used for packing. Alternatively, it can be sent to the recycling plant. Also be sure that you’re buying recycled paper for everything from computer paper to business cards. Recycle ink and printers. Much of the writing that we do today is done by computer and printed out in-house. Be sure to always re-fill or recycle your ink cartridges. When the printer itself needs replacing, make sure that you use proper electronics recycling practices. Learn about green computing practices. If you haven’t already started implementing green computing into your small business then now is the time. This means using an energy-efficient computer and turning everything off when you leave the office. A good trick related to your writing is to save all documents to be printed at the end of the day and keep the printer off the rest of the time. Don’t print out your writing unless you have to. You would be surprised how many people still print out hard copies of drafts they have on their computer to edit them by hand then enter the changes into the computer and re-print the document. Stop printing out your drafts, do your editing on the computer and print out only a final copy as needed. Use eco-friendly writing utensils. 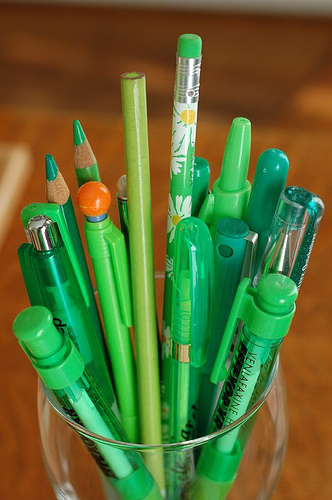 When you’re not using a computer, you should be using pens that are green. Plastic ballpoint pens are bad for the earth. Old-fashioned pens like fountain pens that can be re-filled when the ink runs low are a much better option to use for your writing. Add a green donation button to your blog. If your business has a blog then you can add a donation button there to support a green cause of your choosing. People can donate to you through PayPal and you can turn around and donate that money to your favorite green charity. Every time that you blog, you’ll be spreading the word about another way people can be green. Hire green writers as needed. If you outsource any of your writing to freelancers then you should make the added effort to hire writers who specialize in being green. These writers work to reduce energy and paper waste in their in-home offices and to support green businesses with their writing. Root for Green and A Little Greener Every Day are two examples of green writing service providers. Greening your small business writing practices will benefit your business in a number of ways. It will reduce your waste, save you money and improve your ability to be eco-friendly in the office in small ways. It’s a great area to start with if you’re working on expanding your green office practices. Guest post by Kathryn Vercillo. Kathryn is a writer for Promotionalcodes.org.uk which gives away free voucher codes. When I first found your post, I was in compliance with just about everything you listed except the “green computing”. I have now taken steps to change that. Thanks again for opening my eyes! I’m a recycling enthusiast, so I appreciate everyone who is involved in getting the word out. .-= Boardwalk @ Recycling Christmas Cards´s last blog ..Recycle Greeting Cards for Arts and Crafts =-. Its really very nice post.We should be aware of our environment and can do everything for preserving it.Now its peak time for all of us to wake up. Hey, some great tips, every little bit helps out, we all gotta do our part. Good to see that we all agree! we make good use of the tips here for making our environment a lot cleaner. I have to agree most with the poin of not printing unless absolutely necessary – the amount of print performed before the age of email was enourmous – now obviously it has now decreased but im sure there are huge amounts of printing that is just not necessary and the affect this has is obviously negative to the planet. Will bookmark this page for future refence…. This is amazing post. I think it will improve my knowledge skills. great article! Now we need people to take your advice and apply this simple steps. Imagine if everyone picked one of these how better off we would be! Thank you for this list. I keep a box under my desk for storing used paper and grab a sheet to reuse when I need to do some scratch work. I would caution, however, make sure your recycle box doesn’t have any “confidential” or sensitive information. I had recently printed out some handouts for a small Bible study group on reused paper at home…the problem was that the “original” sheets were my bank statements Oops!